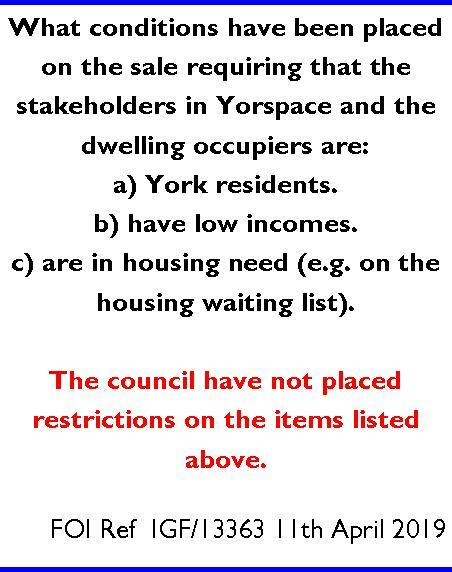 A response to a Freedom of Information request has revealed that the Council DID NOT require, that the land it sold at Lowfields to the “Yorspace” commune, must be used to provide affordable housing. The land was sold for £300,000 – approximately 50% below its open market value. A smaller plot of land at the other end of the Lowfields school site is currently being marketed for offers over £400,000. The discounted sale decision was taken in private by a Council official. The Council claims that they had an independent valuation made on the site. They don’t say on what basis they discounted the value. They did, however, depend on Section 123 of the Local Government Act 1972 to dispose of the land at below market value. It was assumed – but not transparently recorded in the decision notice – that this was to facilitate the provision of more affordable housing. 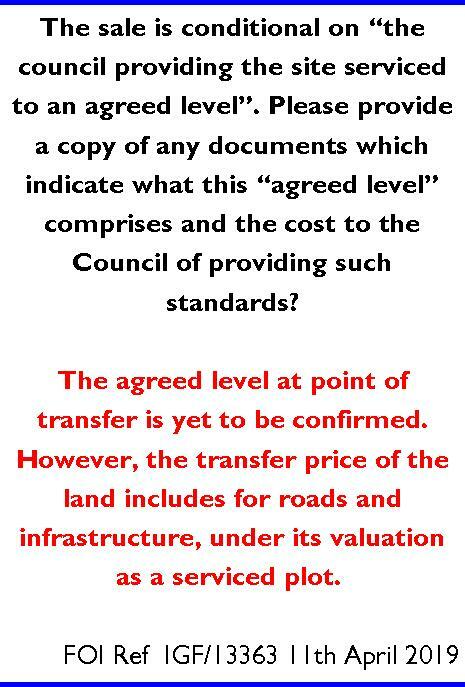 The FOI response goes on to say, “This valuation was for a plot of land for community build housing with utility connections and a road to the edge of the site. Therefore, the price to be paid by Yorspace includes an allowance for infrastructure works. Yorspace will be paying for the construction of the car parking bays which are within their proposed red line ownership boundary”. “Any areas of road and parking will belong to Yorspace and it will be their responsibility to maintain this. However, the public footpath in this area is likely to become adopted highway and therefore maintained by the council”. Clearly there are “smoke and mirrors” aspects to this transaction which will require the attention of the Auditors. Another option for the Council would have been to develop the site itself to provide 19 more Council homes. The homes could then have been let direct to those on the housing waiting list. The Council has more freedom now to borrow to fund new Council homes. NB. Despite some new builds, “Right to Buy” applications have seen the Council housing stock in York reduce from 7728 in 2016 to 7617 two years later.